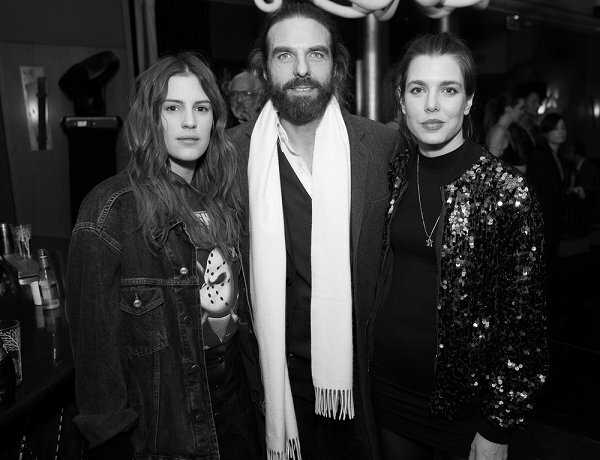 Albane Cleret held a special dinner to celebrate the New Year 2017 at the L'avenue Restaurant in Paris. 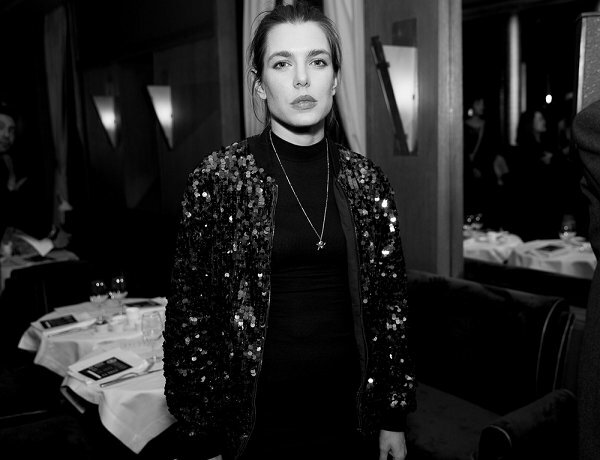 Charlotte Casiraghi attended this New Year's celebration dinner. Gosh,no matter how happy occasion, Charlotte has always miserable looking face. Haha she really does Kristina, it always just looked like she sucked on a lemon with the way she puckers her lips. I don't know maybe it's just me, but whenever I see comments about how beautiful she is, I truly don't see it. This woman looks profoundly sad and has for some time. She is beautiful, no doubt, but what has happened? Her last two relationships appear to have failed and the disappearance of a "possible" pregnancy....? In any case, I wish her well. Happiness is a choice not a result . Obviously judging from many photos she likes the sour look. But whether this is just her facade look of her face or real we don't know that for sure also. Not miserable but arrogant and thoroughly bored. Pas de grossesse mais un petit ventre bien gras . All these comments -- how do we know what her life is really like and what goes on emotionally inside her. My only negative comment is that I wish she would quit the cigarettes -- a very bad habit she picked up from her mother and aunt. Well, the Casiraghi trio comes across aus haughty arrogant people. I suppose it is due to the fact that they sadly lost their father much too early. Grandfather and uncle certainly spoiled them to death and their mother - submerged in her own sorrow - did nothing to correct that. She always look so miserable and arrogant! I agree Beverly. There's no way we will ever know very much for sure about her emotional life. I however also think that this chin up-lips tightly closed face looks ok only on her Gucci fashion photos, not at event photos like this. And you hardly find a photo of her where her face/posture looks otherwise. And I guess all the commenters above just express a very no-far-to-seek assumption, that her face reflects something of her emotional state. Other than her constantly annoyed face and her occasionally disastrous fashion choices I quite sympathise with her (so far). I see she had a handful of bad choices (Gad Elmaleh being the worst of those) but I respect her for keeping the baby instead of "getting rid" of him. By the way, I also don't understand what happened last year with that obvious baby bump. That was by the beginning of August, she must have been around 4 months. I don't know what to think and I only hope there isn't any tragic incident behind this. She wears hardly ever cloths I like, not this time either. ik vind het geen vrolijke prinses,maar dat ze gelukkig is dat geloof ik niet !! maar het kan nog komen,hoop ik voor haar !! !